This jersey has been personally signed by Hall of Famer, Marcel Dionne. 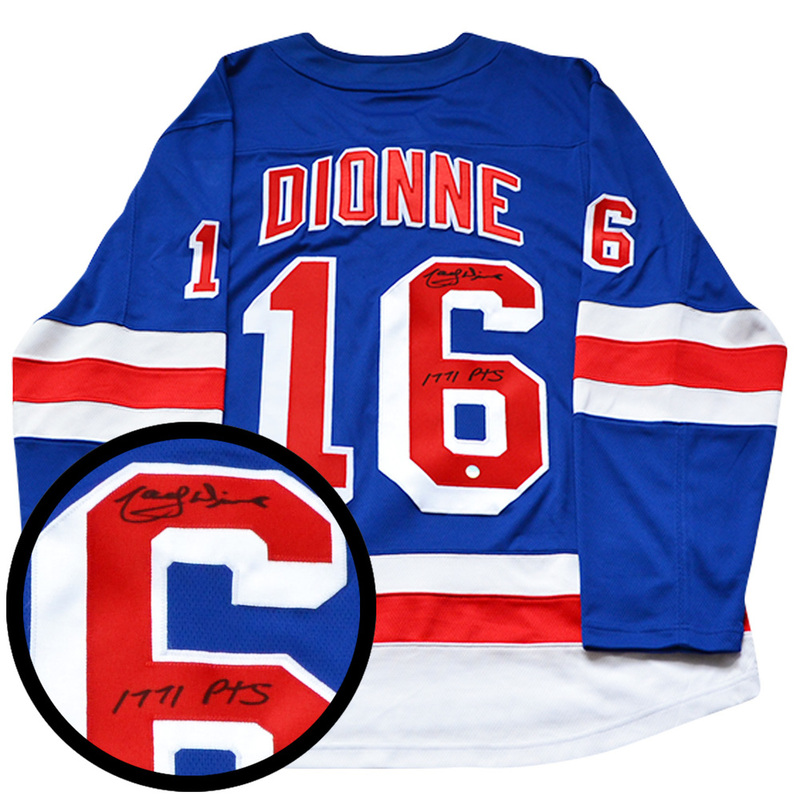 Dionne was named as one of the "Top 100 Greatest Players of All Time" during the NHL's Centennial season. Although Dionne never captured a Stanley Cup during his 18 year career, but still earned a hand full of awards. Dionne captured an Art Ross trophy in 1980, two Ted Lindsay Awards in 1979 and 1980, two Lady Byng Memorial Trophies in 1975 and 1977, and was given the Lester Patrick Trophy in 2006 after he retired. Dionne played 1,348 games scoring 731 goals and putting up 1,771 points. This NHL & NHLPA licensed product comes with a Frameworth COA and hologram to ensure the authenticity of the autograph.